How do I change my IP address on Google Chrome? Changing your IP address in Google Chrome is something many people want to do, but figuring out exactly how to do it can be a headache. Fortunately, our step-by-step guide will show you the easy way to change your Google Chrome IP address – and all you need to do is install a good Chrome VPN extension. VPN is short for Virtual Private Network, and it’s a tool that basically tells your ISP (Internet Service Provider) your computer is accessing the internet from a different location. This in turn means a different IP address is associated with your machine, thereby giving you peace of mind when it comes to your web browsing. That’s right. Despite what you might have heard, there’s no need to delve into complicated stuff like proxy servers or advanced network settings to change your IP address in Chrome. You can safely, securely and – crucially – completely legally mask your IP address simply by using a VPN extension. 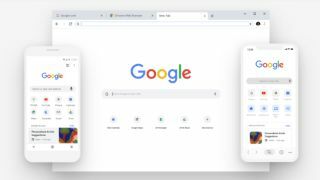 To do this, you’ll first need to choose your VPN – and if you’re using Google’s popular Chrome browser, you’ll therefore want one that offers a Chrome extension. We have a number of recommendations in our roundup of the best Chrome VPN extensions, but our top pick right now is ExpressVPN, which we’ll use for the purposes of this guide. Why do we like it so much? It’s affordable, easy-to-use, and perhaps most importantly, reliable – a combination that means it stands out from the crowd and represents great value for money. Read our full ExpressVPN review to learn more. Plus, the service’s 30-day money back guarantee means you can check it out for free to see if it’s right for you. After choosing your VPN, you’ll need to install and enable the app. Our guide to enabling a VPN in Google Chrome takes you through the process step-by-step, showing you how to install and activate the VPN. Once you’ve installed ExpressVPN or another reliable Virtual Private Network – our roundup of the best VPNs to download in 2019 offers a number of suggestions – the hard work is done. It might seem too good to be true, but once you’re downloaded, installed, and enabled your VPN, that’s it. Your VPN automatically changes your IP address to another location when it’s running. By way of illustration, here is my IP address before turning on ExpressVPN. You can tell it’s disabled because there isn’t a green checkmark overlaid on the small red ‘V’ icon next to the Chrome URL bar. Once I enable my VPN – with the ExpressVPN Chrome extension, this is as easy as clicking that same small red ‘V’ icon – you’ll see that my computer registers a completely different IP address once the magic green tick is in place. Whatever your reasons for wanting to change your IP address in Chrome, this is by far the easiest way to accomplish the task. Other methods for changing your IP address require a fair bit of nerdy know-how and can be a headache for many computer users, which is why we recommend making use of a VPN to take care of the nitty-gritty. As you can see, the whole process from start to finish only take a couple of minutes, thanks to ExpressVPN’s user-friendly interface. Once you’ve got the app and corresponding Chrome extension installed, you’ll be able to change your IP address in a matter of seconds.